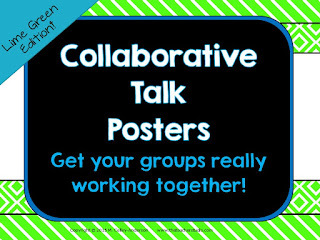 One thing I have been working on all year with my students is productive group work and discourse. Whether we are talking about our read aloud, brainstorming about a topic, or sharing our reflections in a book club, we are working hard to be productive group members. What does this look like? We have talked about piggybacking off the ideas of others. We have talked about asking other people's opinions. We have practiced disagreeing "agreeably". We have even working on asking for clarification of ideas. Pretty important stuff, right? We have done a great deal of this in the context of book discussions, but we have also done a great deal of this during math class. Today I thought I'd share what this might look like--especially if you haven't done a whole lot of this yet. Here's how I got started. First of all, I do a TON of problem solving in my classroom--both individually and in teams. I started to do more and more of them as warm ups where students would work a while on a problem they had glued into their notebooks. After they had worked independently for a while, I partnered them up to discuss what they had done to that point and where they would go next. I thought I'd snap a few pictures of one day when we did this process. As they started working with their problem solving partners,we practiced using phrases like, "I knew ____ so I did ____" and "What do you think about..." and 'I agree with you but..." to really get them talking about the problem and solution strategies. I let these partnerships work a little longer on the problem so they made a little more progress. While they worked, I walked around and coached--both on the problem solving itself AND on the partner work and discussion. "Could you explain that one more time?" We then met back as a whole class to share some of our strategies under the document camera and to reflect on how our groups went. Talking about math is VERY different than talking about literature...there aren't a lot of opinions in math! I loved hearing some of the comments that show that they have been listening to me at least a little! "That works, but it isn't very efficient." "I didn't get it before but ____ explained it and now I do!" "There is another way that would be even easier." "This is a lot like the problem we did...."
My students are getting pretty good at this process...to the point where I can be much more of an observer than a coach. I have even started doing this in small groups--especially for enrichment! These "math smart" students are NOT always the best at listening productively to other ideas! This problem is from my "Perseverance Problems" resource...click here to see it in my store. Interested in give this a try? Here's a freebie with some discussion "stems" that you could use with your students. Need good word problems for your class? I am ADDICTED to writing word problems! I have seasonal problems, topic centered problems, "Amazing Fact" problems, and more! 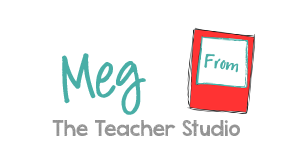 If you CLICK HERE, you can see my many word problem resources in my store--most of which have a built in differentiation component. I've even thrown a few of them on sale for you...check out these to get you through the end of the year! Thanks for stopping by-and have a wonderful end to your weekend!